Our Speaker for M arch 20th is former Burlington Alderman/Councillor, engaged Citizen and columnist for the Hamilton Spectator, Joan Little. Joan will talk about her half century with many Boards and Committees, the Waterfront being the start of her involvement in politics, along with the Beach Strip, Maple Avenue and Roseland and the political things that made Burlington change. Joan’s first election to Council was in 1973. This evolved into several years and many responsibilities for City and the Region. She co-authored a book “Let’s Talk About It” (Citizens Handbook on Local Government). In 1982 Joan was named most effective member of Halton’s 24 regional councillors by group of four reporters covering Halton. (This was a one-time “report card” by the press.) 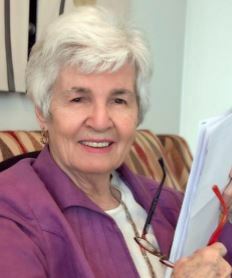 She became the weekly columnist for Hamilton Spectator’s Burlington News in 1998 and in 1999, until the present Joan is the regular Hamilton Spectator columnist on Burlington and Halton issues. From 2004 to 2017 she is also the ​Public-At-Large appointee to the Niagara Escarpment Commission.